Not ready to give Google your credit card? Here’s a super easy way to embed a Google Map In Divi that is free and involves no API. If you are wondering what happened to your maps in Divi, you are not alone! This came as quite a surprise to me when I realized all my websites had “broken” maps. The reason? Google changed their policy and now requires a credit card. Yikes! I’ve heard from hundreds of people who are not only confused but are having lots of different troubles with the API. Thankfully there is an easy solution! I’ll show you how to embed a Google Map in Divi in just a few clicks. Here’s a live example. It’s so easy! This is far better than the Divi Module! Of course, let’s not forget it is free with no credit card required and no more messing around with API problems. Follow the steps below to get this! Go to google.com/maps and search for the desired location. The menu pops out on the left like in the image below. 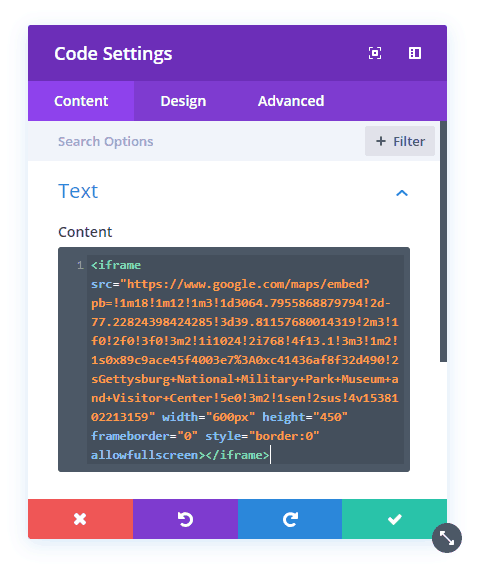 Click on the “Share” button to bring up the embed code popup. Clicking the share button brings up a popup with two tabs. 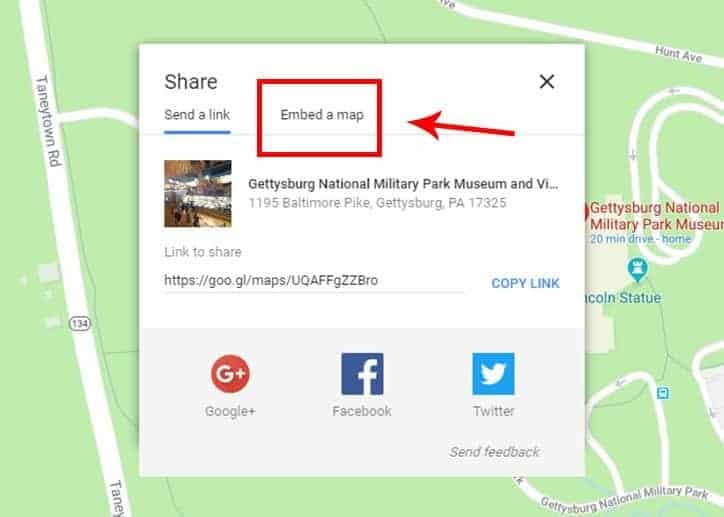 Click on the “Embed a map” tab. Next, you will see a preview of the Google Map with the default size. Don’t worry, I’ll show you how to change the size later, it’s easy! For now, you can select the code and copy it, or just click the “COPY HTML” button. 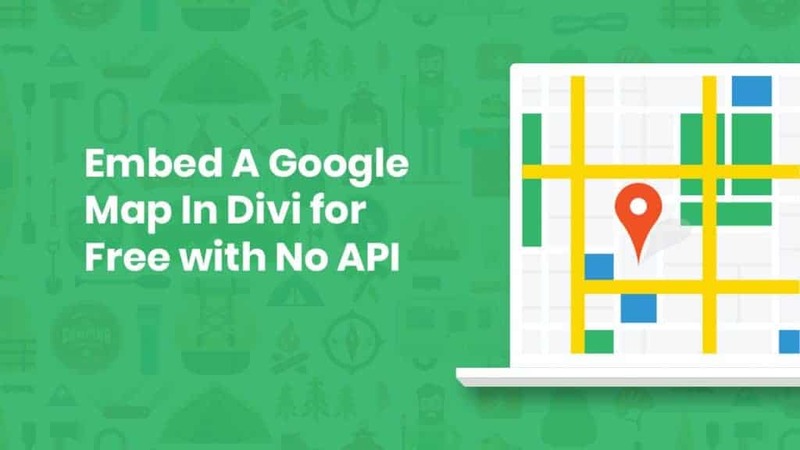 Did this post help you embed a Google Map in Divi? Please tell me in the comments below. If you like this type of post, please subscribe because we have tons of tutorials in progress to be posted! 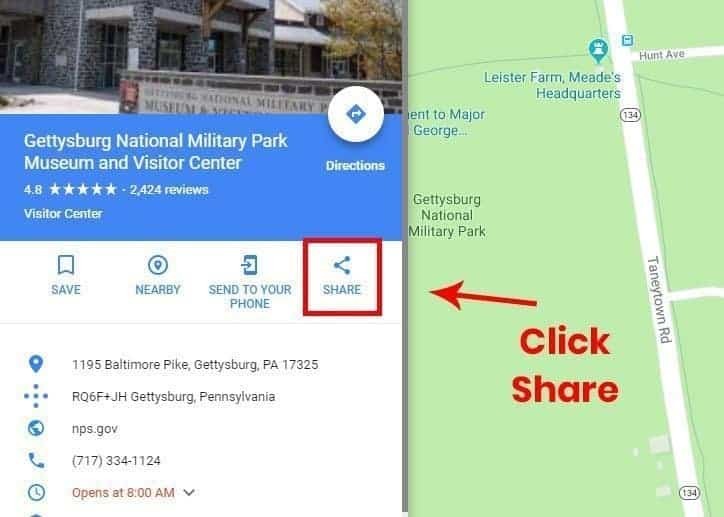 Hi Keith, when you copy the code from Google Maps and then add the Code Module, you can paste it in the content area by using Control/Command + V or right click and paste. I’m glad you found it useful. Let me know if you have other tutorial suggestions! How do you add a “get directions” button… don’t see it on the examples above. Hi Chris, it’s on the map in the top left corner with the other information it it pulling from Google maps. I think sometimes the mobile views gets simplified, which is maybe why you couldn’t see it. This worked flawlessly. i ended up using the link to attach it to the module of the section were the address was showing. now you just click and it opens up your google maps. thank you. You’re welcome, glad the tutorial was of some help to you! Brilliant, worked perfectly, thank you! You’re welcome Brenda, I’m glad it worked so well for you! Fabuloso!!! Thanks you. How many people like me will ask the same. In the ElegantTheme forum, they have already tired of answering. Hi Percy, I’m glad you found this tutorial helpful! I’m sure many users are confused, but hopefully this solution will work better anyhow. Great post! Glad I found it. I was getting a bit confused by the map not working. Is there a way to add several addresses and style the pin e.g. with a logo? Glad this was helpful to you in clearing up the problem! Actually yes, there is an easy to way to add multiple pins, and I have considered updating the article. 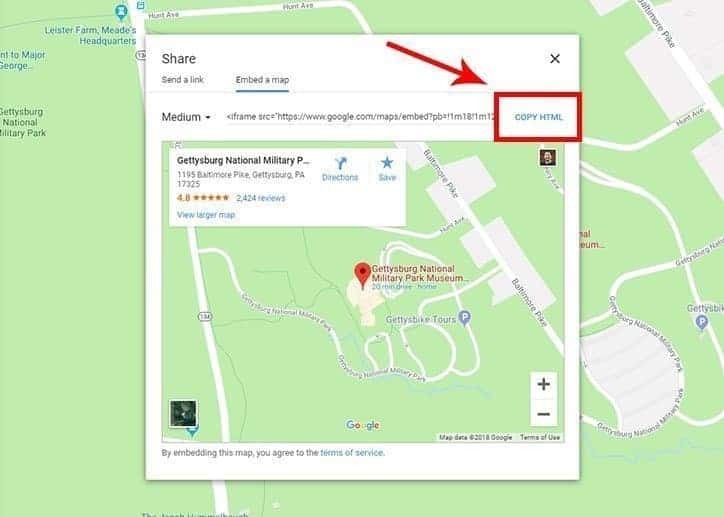 Instead of using the regular Google Maps website, go to “Google My Maps” instead. At that point you can make your pins and embed the map just like the regular one. As for changing the pin, I havn’t found a way to do that. If you use Google My Maps, you can change the pin to any icon you want. I often do that, especially when I have several plots to point. But your solution works great when you only have one place! Thanks so much! You are welcome! Great to know about the icons! I have a question. In your screenshot, in the upper right corner of the finished result, your Google Profile picture appears. I’m getting a white box with a smaller black outlined box inside of it. If I log out the blue Google Sign in button appears. I see, I don’t know of any way to hide it. 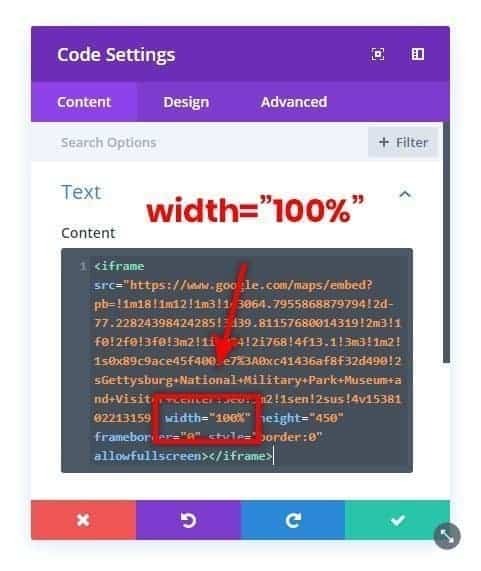 It tried CSS, but since it is in the embed code there isn’t any way to control it. 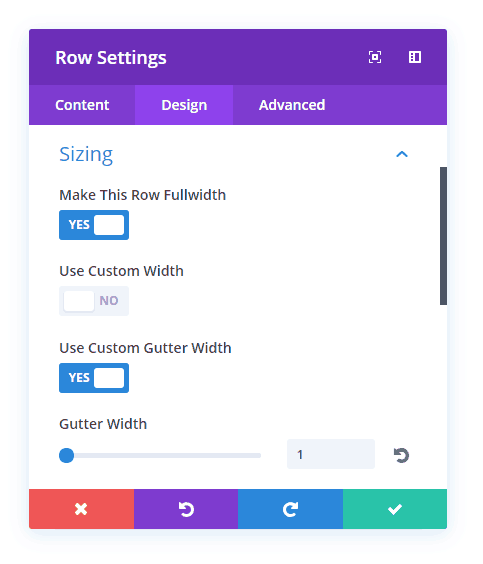 How can I make this fullwidth as one column in a two column row? Good job sweetheart! 🙂 Love you! Thank you sir, that is what i looking for! You are welcome! I’m glad I could help! works a treat. Thank you. My map was not displaying – was greyed out. Followed instructions and still no good. Came across your site, your instructions were brilliant and vola – it works like a beauty. You are most welcome, I’m so glad it worked for you and that my post was helpful!